Do You Need a License to Practice Massage Therapy? Licensing is required in most states to legally operate a beauty salon. Some requirements are common to all jurisdictions. The regulations ensure that beauty shop employees are adequately trained to cut, style and color hair and safely administer nail and skincare treatments. State laws require that all beauty salon workers—including hairdressers, barbers, cosmetologists and nail technicians—meet the requirements to lawfully practice their trade. In some states, it is illegal to operate a beauty salon without proof of licensing and legal documentation of the operators and workers employed by the facility. 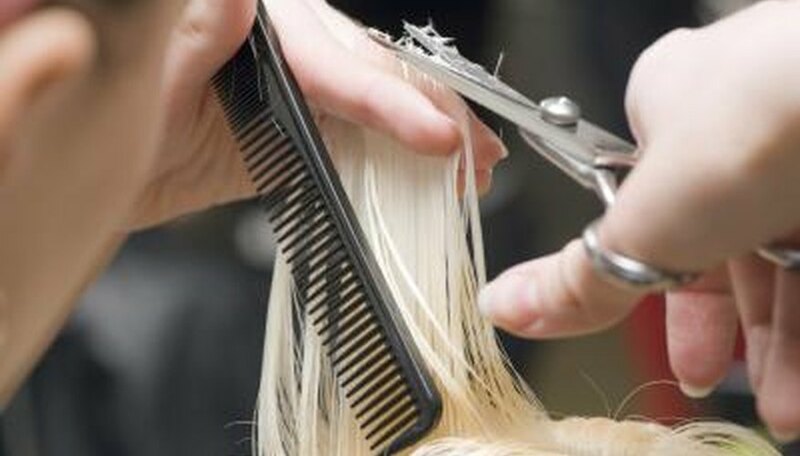 Methods of licensure include: endorsement by a cosmetology board; licensure by examination; and licensure based on the type of services offered. Salon licenses are also classified based on occupational categories, including cosmetology, facials, manicuring, pedicuring, nail extensions, hair braiding, hair wrapping and body wrapping. All states require that cosmetologists graduate from an accredited cosmetology school, and most states require that they complete a minimum of 1,500 hours of hands-on experience. The minimum age of a license applicant is between 16 and 18, depending on the state. Education guidelines differ by state and can require that an applicant complete up to eighth grade or high school or have earned a GED certificate before entry into a cosmetology school. Some states require license applicants to complete a four-hour in-service training program related to HIV/AIDS before applying for a license. To obtain a beauty salon license, an applicant must take two to three cosmetology licensing exams. The exams consist of a practical exam of one of eight core services; a written exam based on procedures and theories; and an exam on cosmetology laws, rules, regulations and policies of a particular state. Most states use standardized exams from the National-Interstate Council of State Boards of Cosmetology. The written exam of procedures and theory tests the applicant’s knowledge of anatomy, physiology, nutrition, ergonomics and infections. The exam also covers hair, nail and skin care; scalp diseases; and braiding, weaving and hair extensions. Practical exams use mannequins and test skills such as preparing the work area; cutting hair; coloring, highlighting and bleaching; and perming and straightening. Beauty salon licenses must be renewed periodically, usually every two years. During this time, the practitioner is required to take 16 or more hours of continuing education courses.